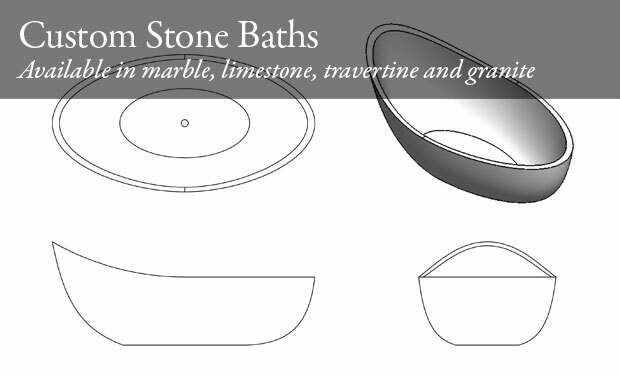 Solid stone baths are very fashionable and extremely desirable. Made using 3D computer technology each individual bath is made to measure to your precise requirements in any stone of your choice. We also offer a range of solid stone baths in specific designs and stone types which can be delivered in a shorter turn around.